Directly involving parents in their premature babies’ hospital care improves the infants’ weight gain and breastfeeding rates, a new Canadian-led study has found. The study found that when parents are actively involved in feeding their preemies, giving them oral medicine, and doing other tasks at the neonatal intensive care unit, the infants put on more weight and the family’s overall well-being improves. “Our study has shown that not only do babies gain weight better, but the parents’ stress and anxiety is also decreased,” Dr. Karel O’Brien, the study’s lead author and neonatologist at Toronto’s Mount Sinai Hospital, told CTV News. The Family Integrated Care (FICare) program was initially piloted at Mount Sinai Hospital’s neonatal intensive care unit (NICU) in 2011 and 2012, Dr. O’Brien said. The program was then implemented in other Canadian hospitals, as well as internationally. The study, published Wednesday in the Lancet Child & Adolescent Health journal, involved nearly 1,800 infants born at 33 weeks gestation or earlier and placed in 26 different NICUs in Canada, Australia and New Zealand. The NICUs were randomly assigned to either implement the FICare program or standard care for preemies. Parents who were part of the FICare program had to commit to spending at least 6 hours per day, 5 days a week, at their infant's bedside. They had to attend education sessions for at least three weeks and perform tasks such as bathing, feeding, dressing, diaper changing, giving oral medication, and taking their baby’s temperature. The study also found that parents in the FICare group had lower levels of stress and anxiety, compared to the standard care group. Once discharged, mothers in the FICare group were also more likely to breastfeed frequently, doing six or more feedings per day. The key to the program’s success is not treating parents like hospital visitors, Dr. O’Brien said. “We’ve really completely changed our attitudes to parents in the NICU. Parents are seen now as being an essential part of our medical care team,” she said. Giving more responsibilities to parents is not a cost-saving measure for hospitals, since the nurse-baby ratio remains the same. The nurses become mentors and training experts for parents, the researchers say. One Ontario mother said FICare gave her the confidence she needed to handle her “fragile” twins, who were born at 23 weeks gestation. Amy, who did not want her last name used, told CTV News that she is fully involved in the care of her babies Paisley and Jackson at Mount Sinai Hospital. Every four hours, she can change their diapers, take their temperature, or wipe their mouths and faces. 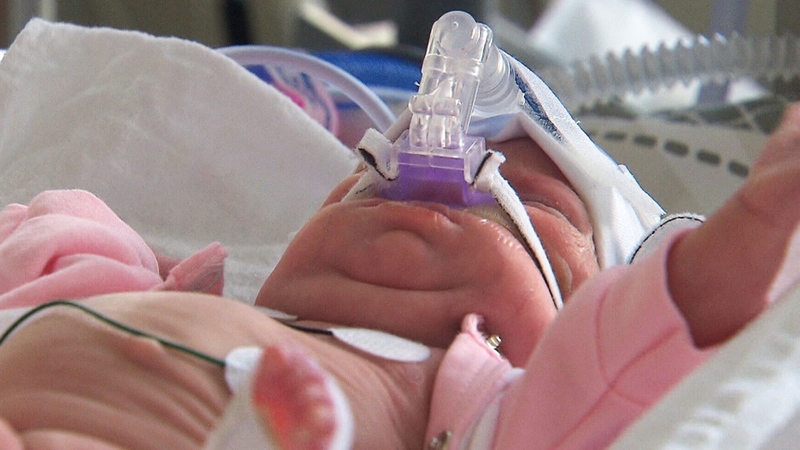 She also takes part in the daily NICU rounds, where doctors and nurses discuss the care plan for her twins. The hope is that Paisley and Jackson will be able to go home sometime around their original due date in March. “Having this program has allowed me to feel like a mother and not just like I’m standing outside looking in,” Amy said. Amy has been fully involved in the care of her premature babies Paisley and Jackson at Toronto's Mount Sinai Hospital. The study found that when parents are actively involved in caring for their preemies, the infants put on more weight.